Straight Up with Sherri: WE C-A-N SAVE TERRI! HERE’S HOW! Richard at blogsforterri is in contact with the people closest to Terri’s family. 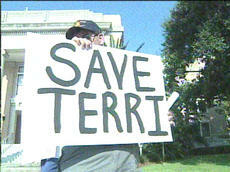 ALL the blogs fighting for Terri have been given their marching orders on how to SAVE TERRI. It is a simple plan that we can ALL do. 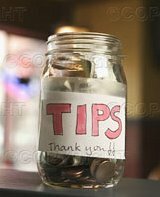 There is also some GREAT information that has surfaced to help us in this fight. STAY WITH ME HERE! STAY STRONG AND VIGILANT to SAVE TERRI! First- You need to be armed with the FACTS! Go HERE to read an affidavit by Alexander T. Gimon, PhD., a clinical neurophysiologist on Terri’s progress despite her lack of therapy and poor treatment. Go HERE to read about the myth of PVS and Terri’s condition. Go HERE to find out about new tests that Terri deserves in light of new information- especially due to the Sarah Scantlin case. Go HERE to find out why Judge Greer should be removed from his position IMMEDIATELY! He is holding his position ILLEGALLY! Go HERE to find out how Governor Jeb Bush CAN and SHOULD step in and SAVE TERRI! The Florida State Constitution clearly states in article #2: "All natural persons, female and male alike, are equal before the law and have inalienable rights, among which are the right to enjoy and defend life and liberty, to pursue happiness...No person shall be deprived of any right because of race, religion, national origin, or physical disability." Fourth- Email, and call EVERYONE you know--- EVERYONE! GET THEM TO ALSO JOIN THE EMAIL CAMPAIGN! If you live locally in Florida- make calls too! Flood them. Flood them! Flood them! Let them know the POWER of the PEOPLE they CLAIM to SERVE! FIFTH- PRAY! I have a dear friend who even searched for verses he felt best fit this situation and shared them with me. NEVER UNDER ESTIMATE THE POWER OF PRAYER! Start a prayer chain, remember what prayer accomplished for us in Florida suring the 2000 elections? 1 Peter 3:12"FOR THE EYES OF THE LORD ARE TOWARD THE RIGHTEOUS, AND HIS EARS ATTEND TO THEIR prayer, BUT THE FACE OF THE LORD IS AGAINST THOSE WHO DO EVIL." Psalms 60:11 O give us help against the adversary, For deliverance by man is in vain. 1 Corinthians 15:58Therefore, my beloved brethren, be steadfast, immovable, always abounding in the work of the Lord, knowing that your toil is not in vain in the Lord. The only thing necessary for the triumph of evil is for a good man to do nothing! You Have the PLAN! WHAT WILL YOU DO? FOX News- list of ALL contacts! If you live in Florida, or know anyone who does, PLEASE GO HERE!!!!! Congratulations on becoming a "radio celebrity" on both KWRD and WGST. You did a Fantastic job. I hope this reaches out to many people around the country. I'm not suggesting anyone walk into the hospital and take her out. Given the time constraints, that might be the only option. Unfortunately, her 'husband' has legal rights. It boggles the mind how little value the legal system puts on some human lives. Did I imagine another thread discussing Nazi eugenics where I posted a comment? Did you delete me from your blogroll? Is this the right blog? Where am I? I've been at the hospital for most of the last four days and haven't been sleeping much. Per judege geer, we now have two more days -- until Wednesday. That is untrue! The Empire Journal Got that story WRONG! Michael Schiavo has permission from Judge Greer to start Terri's torture and execution today! Sherri, You are a Goddess. I too believe we will make a difference. I am not a resident of Florida but I am an American citizen. I am writing to you today to inquire as to the exact law that would allow Terri Shiavo to be intentionally denied food and water. I would submit that the judge that issues this death sentence (George Greer) and the person that carries it out should certainly be arrested, tried, and convicted of negligent homicide. Terri is NOT ON LIFE SUPPORT. Her life is viable and denying her food and water is a criminal act. This is not the same as removing someone from life support. This is MURDER. Just because her disability has rendered her incapable of feeding herself, that does not give anyone the right to kill her. Newborns are not capable of feeding themselves either, their parents/guardians must bear this responsibility. Terri's parents have been begging and pleading for the legal authority to make medical care available for their daughter yet they have been denied that opportunity. Are we really willing to set a precedent that makes it legal for parents and guardians to allow those in their care to die if they are not able to feed themselves? I will guarantee you that if this is allowed to happen you will have countless convicts that have been sentenced to prison for child neglect appealing based on THIS CASE. Just how will you refute their claim that you gave Michael Shiavo the right to do the very same thing without any repercussions? What has our justice system become when we will allow a man that has moved on with his life and built a family with another woman to dictate whether or not this woman dies. If we allow this to happen we are giving this man the legal right to commit murder and he doesn't even have to do the dirty work himself! What exactly is Mr. Shiavo's motivation for having Terri murdered? Why would he want to impose a death sentence on a completely innocent woman? What do you think would happen if the state of Florida opted to impose death by starvation on the inmates currently sitting on death row? I am already hearing, "Cruel and Unusual Punishment" and that is for convicted criminals. 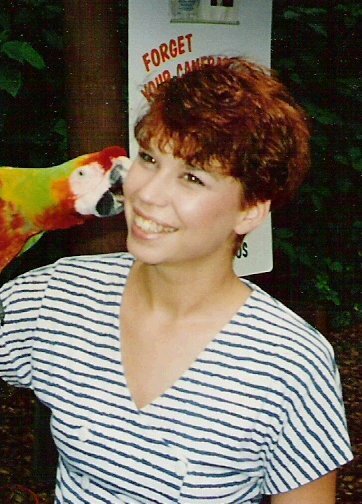 Terri's only crime is not having died as a result of her brain injury. Mr. Shiavo has been given the opportunity to divorce Terri and walk away with no obligations to her at all but he refuses. If he truly was acting out of love for Terri and felt she would prefer to die than live as she has for the past 15 years, why would he not be fighting for euthanasia in a painless and quick way? I am not saying that I would agree with that either but, fighting to have her suffer for weeks is something that most people would not subject an animal to much less a living, breathing person. I have a very hard time believing that he is acting out of love for her and trying to do what is in her best interest. It seems ludicrous to me that this has even continued this long. If this fight to kill Terri is not stopped - immediately and permanently - I for one will spend more time and effort contacting every convict that has ever been found guilty of negligence and assisting them in their appeals than you can possibly imagine. IS THIS A CAN OF WORMS YOU WANT TO OPEN????????????????? Please feel free to contact me directly regarding this matter. I would be happy to discuss it further. As Terri cannot speak for herself, my voice is plenty loud enough for the both of us!